Okay, y’all. Our road trip is actually happening! We have been having an amazing time getting to see so many loved ones + beautiful places. Hands down, this has been one of the best things I’ve ever done (other than starting my organizing business, natch! ), and I can’t wait to share more about it in due time. 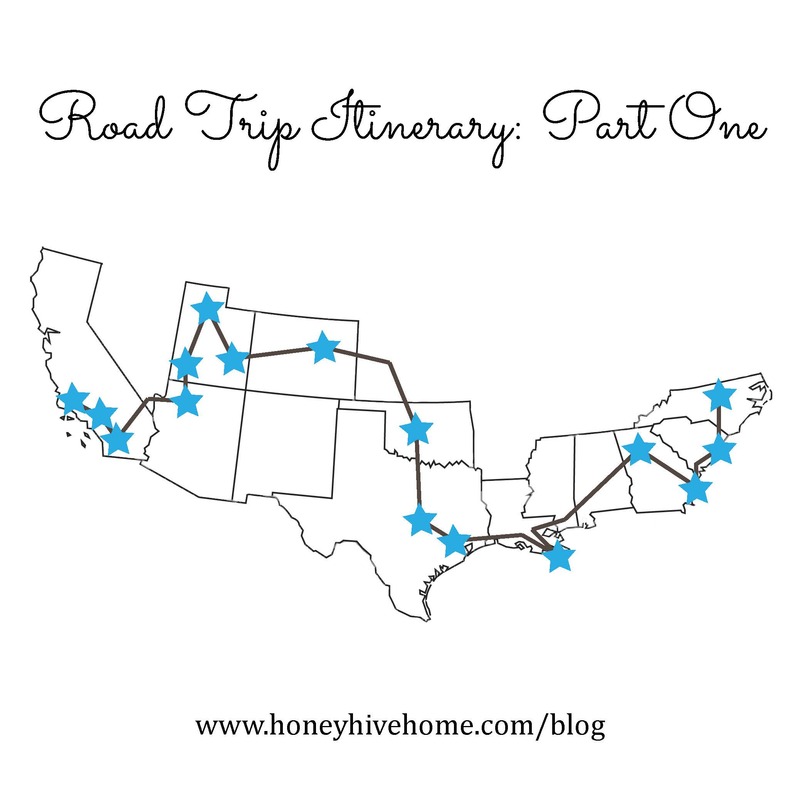 However, since we’re now in California, it’s high time to share part two of our itinerary! I am SO exited the Pacific Coast Highway from Ventura up through Big Sur, ending up outside of Berkeley. We’ll be camping here and soaking up the beautiful surroundings. We’ll be staying with family friends + touring around UC – Berkeley and the city itself. Another camping stop! This is a bucket list item for sure, and I’m thrilled to see some gigantic trees (and more, of course). We missed this on our last trip to Oregon in 2010, so I’m excited we’re making it happen this time around. We’ll be camping + hiking here. Don’t these views just look incredible? Vacation with Kate’s family! We’ll be staying at a resort where we went five years ago (when our niece was only six weeks old!) and soaking up lots of family time while biking, tubing, white water rafting, and relaxing. My father-in-law has said the drive up the Oregon coast is one of his all-time favorites, so we’ll be camping on the coast (we tried to get one of the yurts at this campground, but they were already full. A tent site will have to suffice!) and then driving up to Washington the next day. I’m so excited to check this national park out! It looks positively ethereal and I’m thrilled to experience it. My sister-in-law will be celebrating a milestone birthday, so we’ll be staying at her house to watch our youngest nephews (ages 2 + 3!) while she and her husband take a trip to celebrate. We’re so excited, and also hoping we don’t totally get our behinds kicked by this, haha! Oh, Canada! I’ve only been to Montreal, so I’m looking forward to exploring the city + seeing the sights. This kicks off one of my most looked-forward-to segments of our trip, and also one that’s causing me lots of anxiety. We’re staying near Lake Louise, which seems awe-inspiring, and going around to a bunch of nearby spots! However, I am totally freaked about running into bears. Our campground here is surrounded by electric fences to keep bears out, which makes me really nervous (just keeping it real!). Any tips on dealing with this? I’ve admittedly been doing way too much research on this, but any input (or reassuring statistics) would be fantastic. Another nervous-but-excited stop. I cannot wait to see the beauty here! We’ll be spending one night at a campground and then backcountry camping for the other two. Even more nerves about bears! Again, any input/encouragement/prayers would be fantastic. Kate’s uncle + aunt have a cabin here and are graciously letting us stay here for a night to regroup after nearly a week of camping. Looking forward to buzzing by Mount Rushmore, seeing the beautiful landscape of the Badlands, and checking another state off of my ‘visited’ list. Honestly, this is mainly a way to check North Dakota off of the list since we’ll be relatively close by, but I’m looking forward to seeing a new place and hopefully stopping by Fargo, which seems like a cute city. We’ll be visiting with a friend + her wife who moved away from NC, so we’re pumped to see them and tour around the city! Another stay with a friend + her fiance. They’re getting married later this year, so we can’t wait to catch up and talk wedding planning. This is Kate’s mom’s hometown, so we’re excited to visit lots of memorable spots and see her grandparents’ old home. Pumped to visit this new-to-us city and visit with my friend from grad school + her husband. We’ll be camping on the shores of Lake Erie here! Looking forward to visiting another Canadian city + also checking out Niagara Falls on our way back to the States. After a long drive, we’re excited to stay at an Airbnb spot here. This was our final stop during our week-long Vermont honeymoon in 2011, so we’re splurging a bit for a one night stay at the same inn we visited then. The last national park of our trip! We’ve both never been, and are thrilled to take in the views, go on lots of hikes, and camp by the ocean. We will (hopefully!) be staying with my uncle’s family here to catch up with them and regroup after camping for several nights. More time with my side of the family! We’re looking forward to visiting with my mom, her family, and lots of childhood friends + their families while we’re there. New England in late summer is usually gorgeous, so I’m keeping my fingers crossed for some fantastic weather, but this will be a great stretch of our trip regardless! We’re hoping to stay with someone to catch up and break up the drive back to NC, but haven’t lined anything up (yet!). With that we’ll be back in the Old North State. After staying with friends for a bit, we’ll get to move into our new place. By then I’m sure I’ll be ready to dive back into working with clients + settle into a good routine for the fall. Have you visited any of these spots? I’d love any + all recommendations! I’m hoping to post more here between now and then about how we’ve organized things on our trip and how that’s been working now that we’re nearly half-way through, but in the meantime, you can keep up with our trip on Instagram! 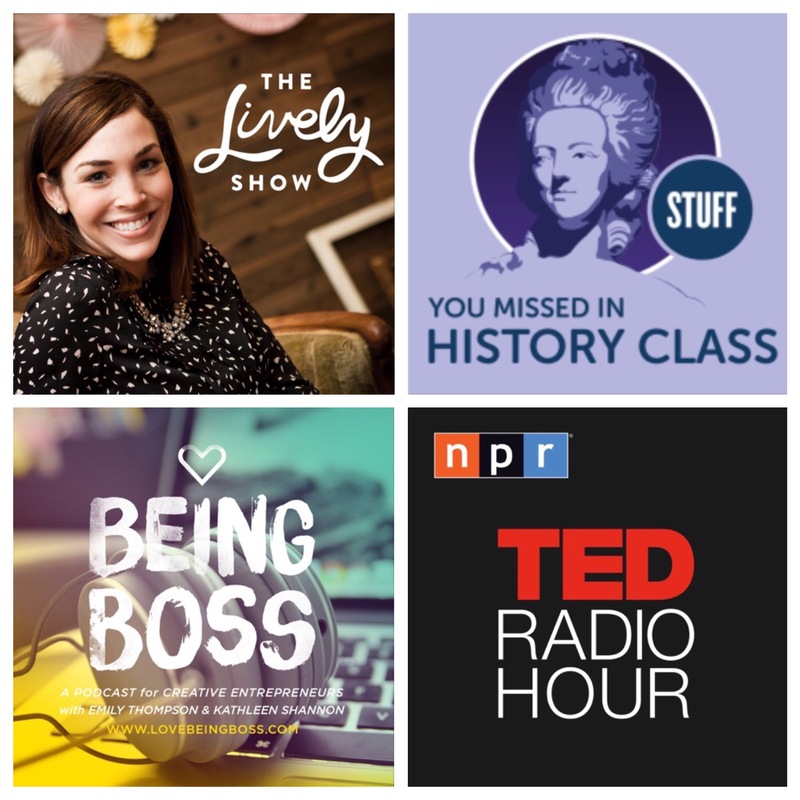 I’ve been a huge fan of podcasts for some time now, so I thought it would be fun to share some of my favorites with you. While I typically load up on them any time I’ll be making a long drive, lately I’ve also loved listening to them while doing more menial tasks like data entry. Music is fantastic, but sometimes it’s fun to break things up and learn something new! This show is so fantastic, and always inspires me to live and work more intentionally. Jess consistently brings on amazing guests and I’ve been exposed to so many phenomenal entrepreneurs, bloggers and individuals. She recently took a break to prepare for the second season, and I’m so glad to have these episodes back in rotation! Another favorite of mine (and Kate’s!) that we’ve been listening to for several years at this point. I was a history major in college, so I’ve loved getting refreshers on topics we discussed and learning about other historical events for the first time. The hosts really go out of their way to do thorough research, but make sure the episodes are lively and interesting instead of dense. They also have a very extensive archive, so you can find episodes on almost any time period or topic you’re looking for! Many of NPR’s podcasts are in heavy rotation here, but I’ve really been enjoying the TED Radio Hour. It takes TED talks, shares excerpts from them and then does in-depth interviews with the speakers. Each episode is thematic, with recent topics ranging from getting organized to why we lie, so you’ll hear the stories of several different speakers each time. This podcast is both informative and fun! Emily and Kathleen make me feel like I’m having a fun, informal and informational conversation with some of my favorite #girlboss friends. I always get so many great ideas from their episodes and take comfort in hearing from other business owners who have been in similar situations! I’d also love to hear: what are your favorite podcasts? I’m always on the lookout for new recommendations! 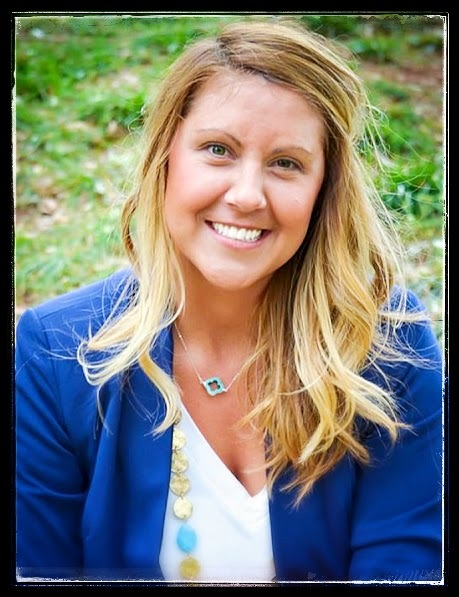 In this week’s installment of Tuesday Ten, I’m excited to introduce you to fellow professional organizer Becky Marple of Bee Neat: A Professional Organizing Company. Becky and I connected via Instagram and I’ve loved getting to follow along with the great work she does in the Oklahoma City area. Honey Hive Home: Tell us a bit about yourself. Top three words to describe yourself. Tenacious (don’t tell me I can’t do something), energetic, empathetic & sensitive – I wish I could rescue the world. It hurts me deeply when I hear of child abuse, neglect or hunger. What do you love most about being an organizer? What I love most about being an organizer is probably two parts. I love seeing the results of a big project and showing the client how pretty their home can be. Equally, I love teaching and coaching the client so that they can maintain our work long after our appointment. 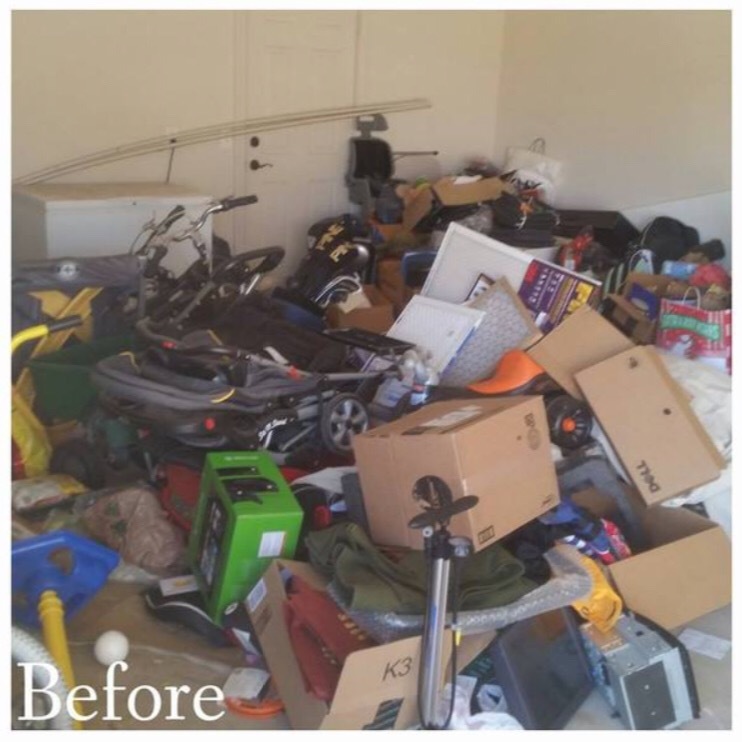 For me, a hoarder who is a resistant client is the most challenging aspect of my job. I am a happy go lucky person and love to work in happy environments where the client is open to changes and new systems. In negative environments where a client is borderline rude and I am having to explain how it’s unsanitary or not okay to hoard trash or certain items, it wears on me. 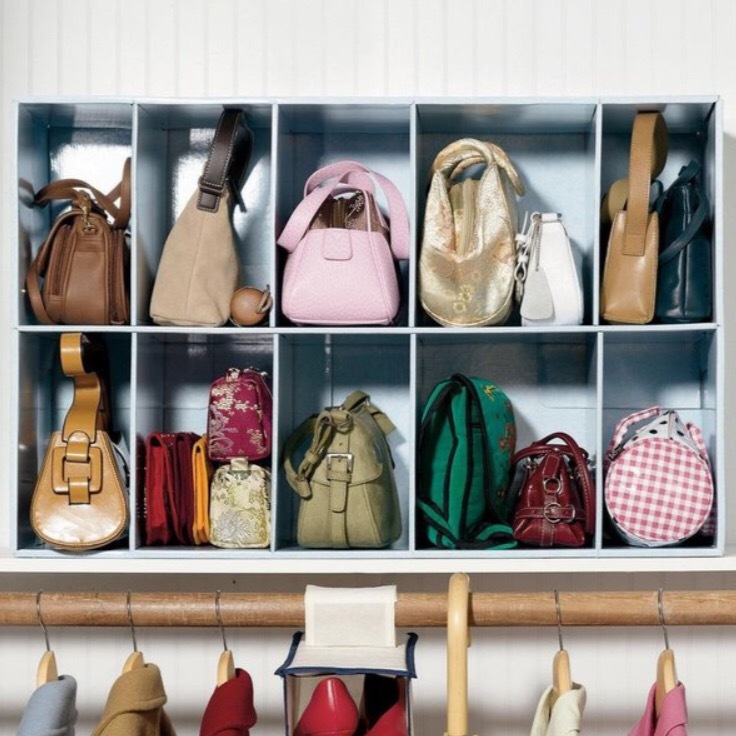 What advice do you have for a new professional organizer? My advice for a new PO would be to do as much research as possible. Read, take online organizing courses, read magazines and work for free helping friends and family for at least a year before launching your business. What about for someone thinking about hiring an organizer? I would recommend someone who is considering hiring an organizer to do their research. To see before and after photos, to ask for at least 5 references and to ask a lot of questions before hiring someone. Hiring an organizer is a very personal thing, and you want to find the right the right fit for your personality and your home. 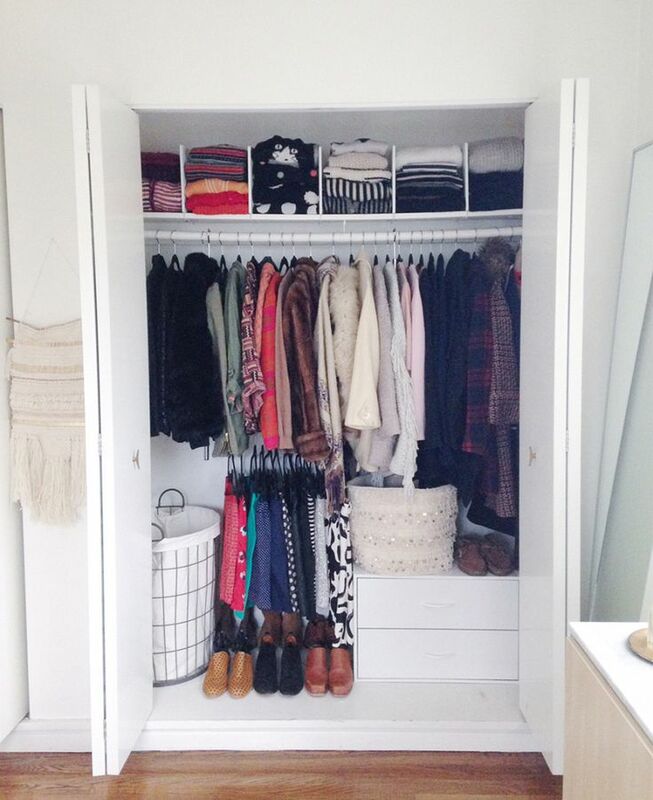 What are your must-have products when organizing? My label maker and cute labels, chalk marker and chalk labels, contractor trash bags, plastic gloves and my measuring tape. What’s a favorite space you’ve organized? I live in Edmond, OK, which is just 15 miles outside of Oklahoma City. Some of the nicest people live here and although we have a bad rap for tornado alley, it’s really not that bad. It’s usually beautiful just about year round. Our schools are ranked some of the highest in the nation and overall just a great place to raise a family. 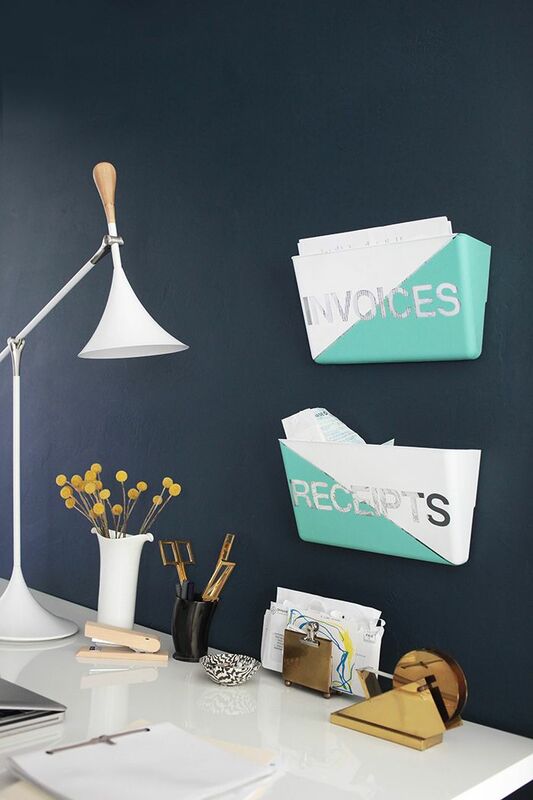 Please share your #1 tip for someone looking to get organized. My number one tip for someone who is looking to get organized would be doing something is better than doing nothing. Start somewhere, you can do it! If you get overwhelmed, recruit a friend or hire an organizer! All photos provided by Becky Marple. Thank you for sharing with us, Becky! 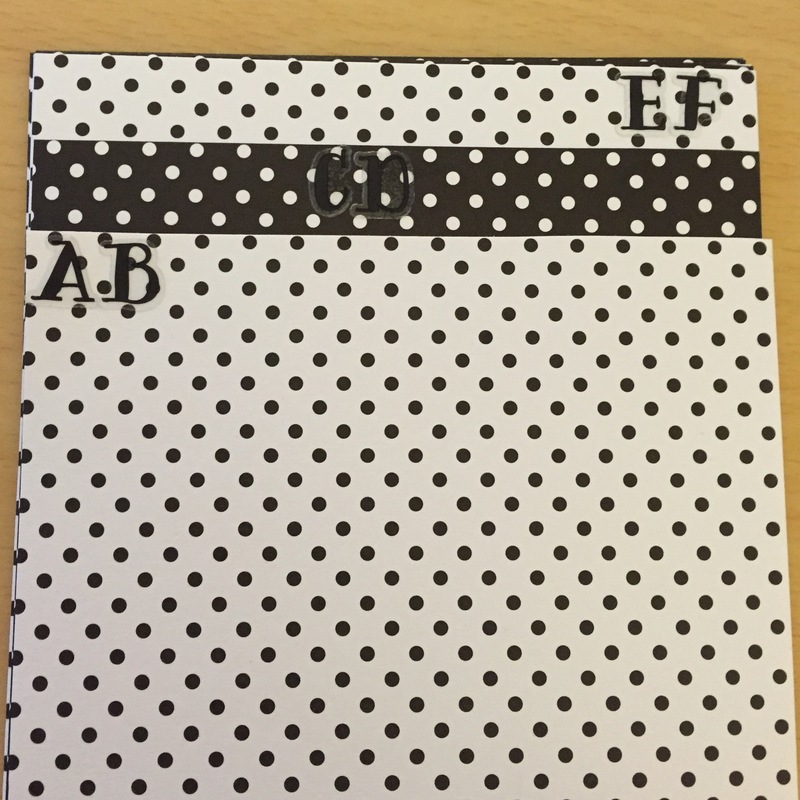 I love your tip for folks looking to get organized. I’m a firm believer in progress, not perfection, so making even small steps to get organized can yield big results over time. Also, I’m totally ready to move into your client’s closet! Anyone else? It sounds like a dream! 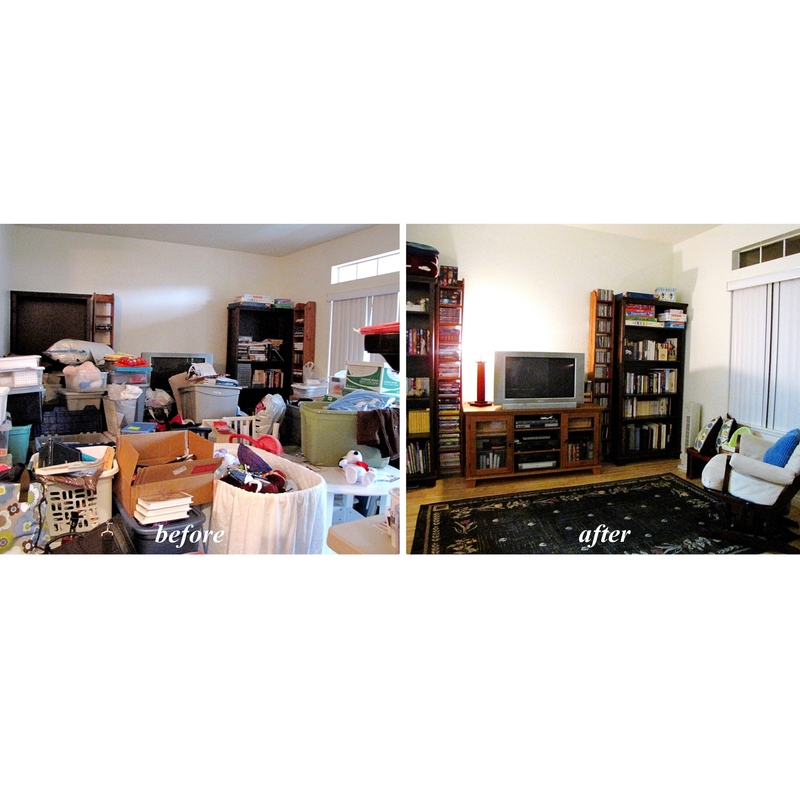 Are you a professional organizer? Get in touch so we can feature you in a future edition of Tuesday Ten! Planning for our road trip this summer is well underway at this point! I’ll share more about what tools we’ve been using to stay organized during our planning process, but for now I wanted to share the first part of our itinerary. 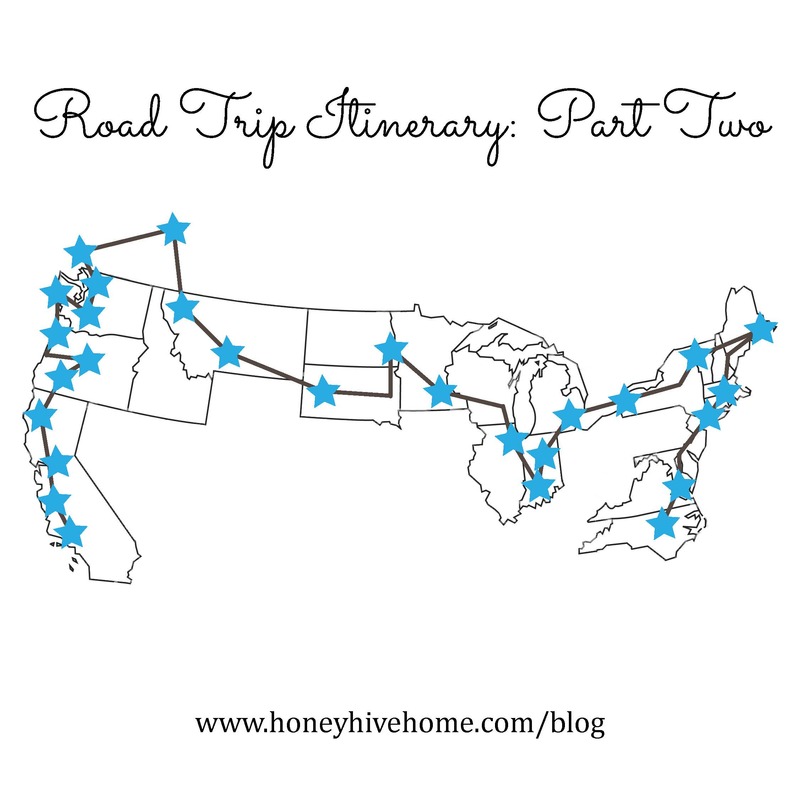 As we’re on the road, I hope to share some updates and recommendations from our favorite stops along the way. Of course, the best laid plans can always have some hiccups, so I may be sharing an update on any last-minute changes if/when they happen. We’ll be staying with one of my college besties and her husband. We haven’t seen them since their wedding last year, so I’m excited to catch up! I’ve never been! We’re staying in an AirBnB right downtown and are excited to see the sights. Staying with another dear friend from college here. She lives right downtown and her picks for restaurants + cute places to visit are always spot on. Another place I’ve never been. We’ll be staying with a friend, and I’m excited to experience the French Quarter and as many other spots as possible. We’ll be staying with some of Kate’s family here. Looking forward to seeing them! I’ve only been to Dallas, so this trip will be an opportunity to see a bit more of the Lone Star State. So pumped about this stop! I’m hoping to visit Barton Springs, eat all of the Tex Mex food (yes, all of it), and do whatever else y’all would suggest. To be honest, this will mainly just be an overnight stop on our long drive from Austin to Denver. We won’t have much time here, but will hopefully find a fun spot for dinner! Looking forward to lots of family time while here! Both Kate and I have family here and have been to Denver before, so we’re just planning to spend lots of time with then while being outside as much as possible. Our first night of camping! We haven’t been to southern Utah yet, and all of the photos I’ve seen of this park are absolutely breathtaking. More family time! Kate’s aunt and uncle moved here recently, so we are excited to spend time with them while getting in some good hikes. We visited SLC nearly five years ago and were blown away by the beauty of the mountains and the super-fun downtown! More camping! And beautiful wilderness! Consider me sold. Y’all: I get to wake up at the Grand Canyon on my birthday. Looking forward to checking off this bucket list item. We’ll be staying at the Northern Rim, which I’ve heard is less crowded but still has fantastic views. After another long drive, we get to stay with one of my best friends and her hubby. Perfect way to end my birthday! This stop will be chock full of family time. A lot of Kate’s family lives in the LA area, so we’ll be hanging out at the beach and going on adventures with our niece + nephew. One of my very favorite places! We’ll be spending lots of time at the beach and hopefully taking a day trip up to Sequoia National Park. In the meantime, I’d love to know: what are your recommendations for any + all of these cities? Things to do, places to eat, must-see attractions: I’d love them all! Y’all. Between Making Things Happen, fantastic clients, and seasonal allergies that have been kicking my behind, I’m just now getting my April goals and March recap posted. I’ve been feeling guilty about neglecting this little space, but realized I just need to get over it! I’m doing my best and making lots of great things happen. They just don’t always show up in this space! Moving forward, I’m going to strive to be more consistent in my posts here, but will also be showing myself some serious grace. If you have a blog, I’d love to hear: what keeps you consistently posting? And with that out of the way, let’s dive into a recap of last month’s goals. One thing I realized as I reflected on the past month was that I need to lower my expectations for how many things I think I can accomplish during my busiest seasons. 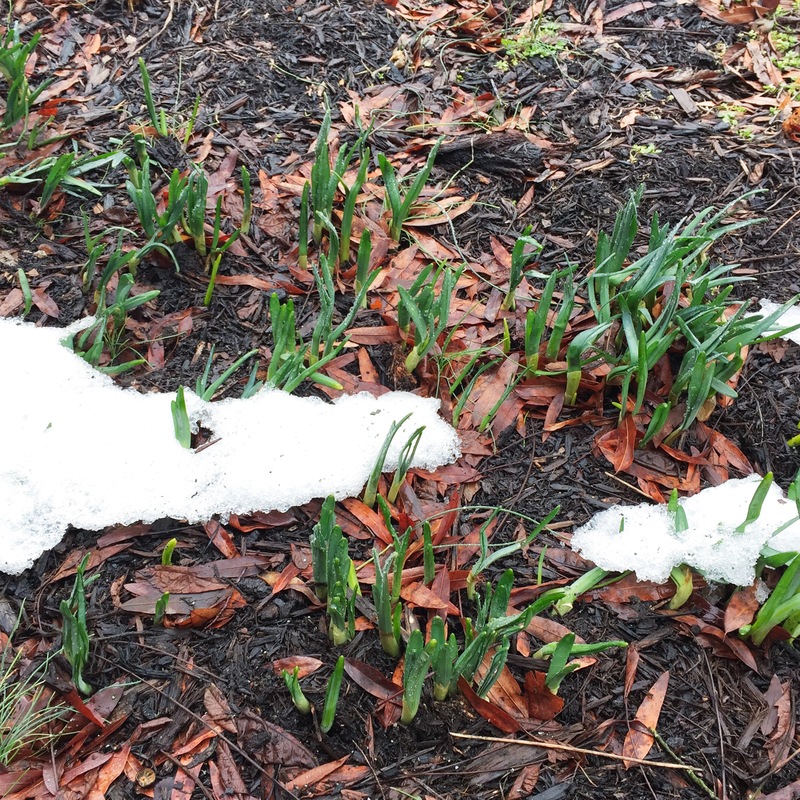 For me (at least as I come up on my first year of business), those seem to be spring and fall. Check! We went on a new-to-us trail here in Chapel Hill in the Carolina North Forest. We hadn’t seen much of each other in the few days prior to our hike and were in crabby moods, but spending time walking + talking for over an hour helped us to reconnect and improved our spirits immensely. So glad this was one of my goals last month! Yes. I’ve kept up regular tracking of our budget with Mint and we’ve been meeting as needed to talk about our budget for now and for our road trip this summer. It’s been working well! No. I did spend two days without social media while at Making Things Happen, but I am not counting that. Yes! I spent a lovely weekend in Georgia facilitating a presentation on branding for an undergraduate chapter of my sorority and helped clean up + get organized after our church’s annual rummage sale. Yes. We made more reservations for our trip and pretty much have our itinerary finalized. Hooray! Again, yes. I went to a local Wake Up Wednesday event, which is always great, and to my first networking event with my Junior League chapter. I loved having the chance to meet new folks and share my passion for helping folks remove the clutter to make room for what matters most! No. I was on such a roll with reading earlier this year, but in March that totally fell off. I’m looking forward to getting lots of reading done during our long drives this summer. No. This is still something that’s on my heart, but I just didn’t make time to make it happen. I’m going to be working on rebranding + updating my website this summer, so I think it will make more sense to launch this at that time! Oh, y’all. This conference. It totally rocked my world in the best possible way. I’m still processing and figuring out how to implement all that I learned, but I’m so thankful for everyone I met and for the incredible speakers. I’d highly recommend this experience if you’re on the hunt for a conference to attend! And now onto April. Let me preface this by saying that I laid out my goals at the beginning of the month and have been making some great progress; I just haven’t posted them here until now! I wanted to say that in case you’re thinking that I’m totally crazy for trying to accomplish all of this in the next two weeks. This is something I’ve been meaning to do for ages. Can’t wait for them to properly fit! I’m trying to make this a regular practice, so I’m putting this here to hold myself accountable. Life moves pretty fast (said in my best Ferris Bueller voice), so we want to spend some intentional time together in the coming weeks. Event though we’ll be together a lot this summer, we don’t want to put this off until then! It will feel so good to have this completed. Can’t wait to get the final puzzle pieces into place. Even though we’re not leaving until the end of May, since we live in an area with so many colleges, there’s more of a sense of urgency with this to find one before they’re all booked! A carry over from last month. What about you? What have you been working toward so far this month? How did March go? I’d love to hear in the comments! Here’s an easy and inexpensive way to get your DVD collection organized and corralled. We don’t have tons of DVDs, but they were definitely taking up more space than I liked (read: the entire cabinet below, with multiple rows of stacks). It was difficult to find what we were looking for, which made watching movies less than enjoyable. When I came across this solution on Pinterest, I knew I wanted to do something similar in our space. We now have plenty of space in this cabinet not only for our DVDs, but also for video games and the controllers for the Xbox and Wii systems. I started off by going through our DVD collection (while watching Friends on Netflix, natch). We had them stored in their cases, as well as my college DVD collection, which were in two CD cases that were filled to capacity. I pulled out anything that we no longer watched (highlights included the entire first season of Laguna Beach) to donate, which immediately freed up some space. I then took DVDs out of their cases and slipped them into these sleeves, placing them in alphabetical order into our new storage bin. All of the old cases went into a bag to donate to The Scrap Exchange, a local nonprofit here in the Triangle, but they aren’t currently accepting this type of donations, so they’ll be recycled instead. Once all of the DVDs were in sleeves, I pulled out my handy label maker so that we would know which DVD was missing if one was ever empty. I decided to go with labels instead of writing on the cases in case we ever wanted to reuse the sleeve after getting rid of a DVD. I then made section dividers so that we can easily find what we’re looking for when searching for a particular title. And there you have it! 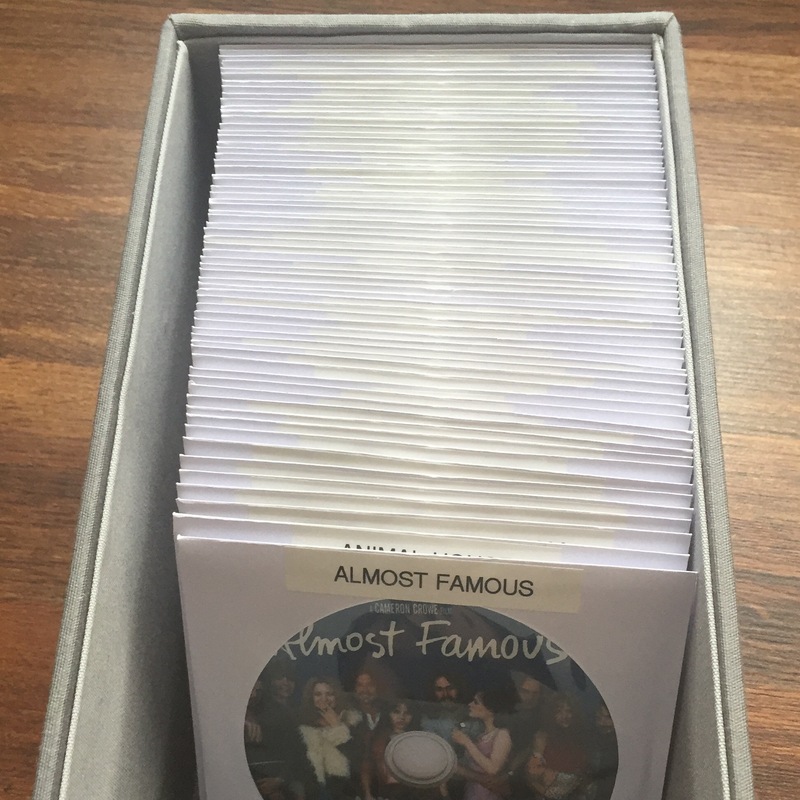 A simple and inexpensive way to organize DVDs. Since I purchased two containers, I used the second one to store Kate’s video games, as well as my exercise DVDs. I’m so happy with how this turned out and hope you’re able to implement something similar in your own space! 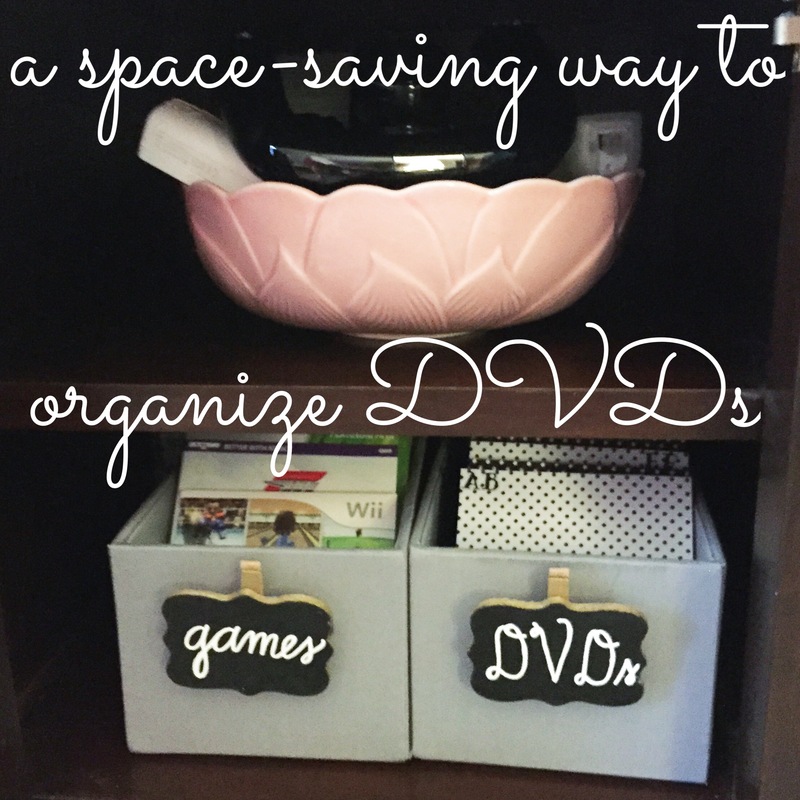 The post “A Space-Saving Way to Organize DVDs” was written by Hillary Bruce and first appeared on Honey Hive Home’s blog. Honey Hive Home is based in Chapel Hill, NC and provides professional organizing in North Carolina and across the U.S. via virtual organizing. This week I’m thrilled to introduce you to the Los Angeles-based professional organizer behind Bneato Bar, Beth Penn. Beth works to make organizing affordable and accessible to her clients, which are two things I can totally get behind. 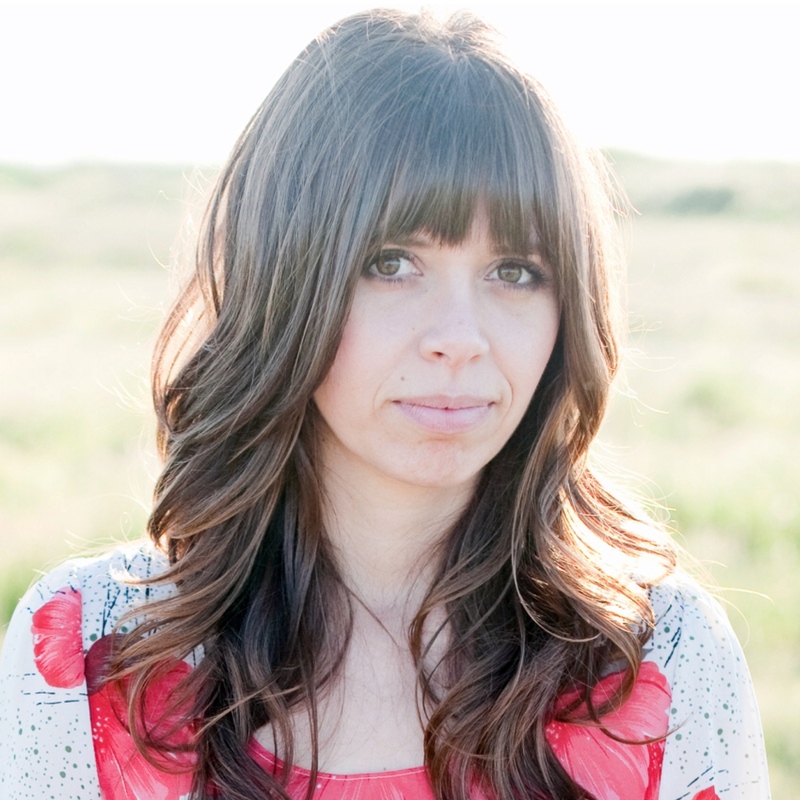 She has also worked with some of my very favorite bloggers and designers, including Bri Emery of DesignLoveFest, Joy Cho of Oh Joy!, and Emily Henderson (whose HGTV show I watched religiously when it was on the air #nerdalert). Needless to say, Beth is the real deal, and, as you’ll see, brings a fun and fresh take to organizing. Managing client expectations. A lot of folks think that it can all happen overnight (reality shows— while I love them, often give unrealistic expectations on how long things take). To be a great organizer, you need patience, an open mind. Get as much experience under your belt by assisting fellow organizers. Read as much as you can and take as many NAPO classes before going out on your own. Ask around and see if a friend hired an organizer and get their feedback. What was their experience? What would they have done differently or done the same? For me, I try and go with my gut, Yelp reviews and if I can get it, a referral to someone that a friend worked with. 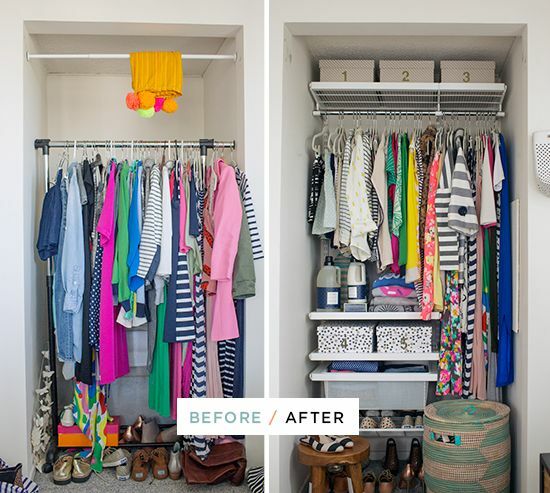 I love decluttering and containerizing closets. The before and after is just so much fun! Hands down, the weather. Also, we live on the Silver Lake reservoir so all I have to do is step outside and I have a pretty amazing race track at my feet. Read Do Less: A Minimalist Guide to a Simplified, Organized, and Happy Life by Rachel Jonat. All photos provided by Beth Penn. 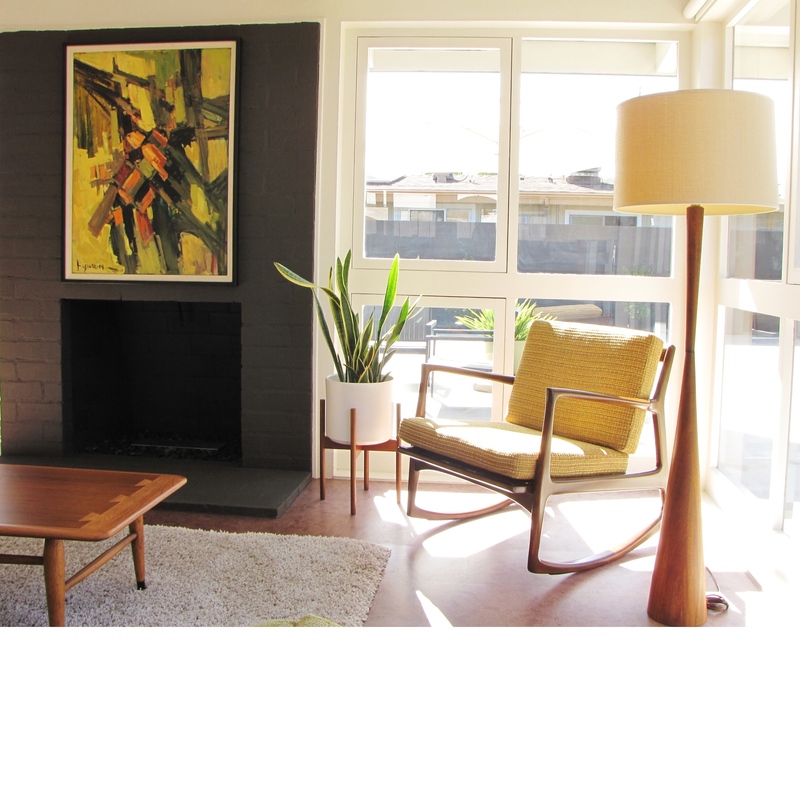 Photo #1 by Casey Brodley for Oh Joy; photos #3 & 4 by Tessa Neustadt for Emily Henderson; photo #5 by Sheila Gim for DesignLoveFest. Thank you kindly for joining us, Beth! I’m so excited to add Rachel Jonat’s book to my reading list. I also love what you said about that moment when clients realize how much better their space is after working with an organizer. It’s totally worth its weight in gold! I may be a tad bit jealous that you live on the Silver Lake reservoir; it’s absolutely beautiful there. Be sure to keep up with Beth on Instagram, too. She’s the perfect mix of inspiring and hilarious! The photo above reminds me so much of the promise this season holds. 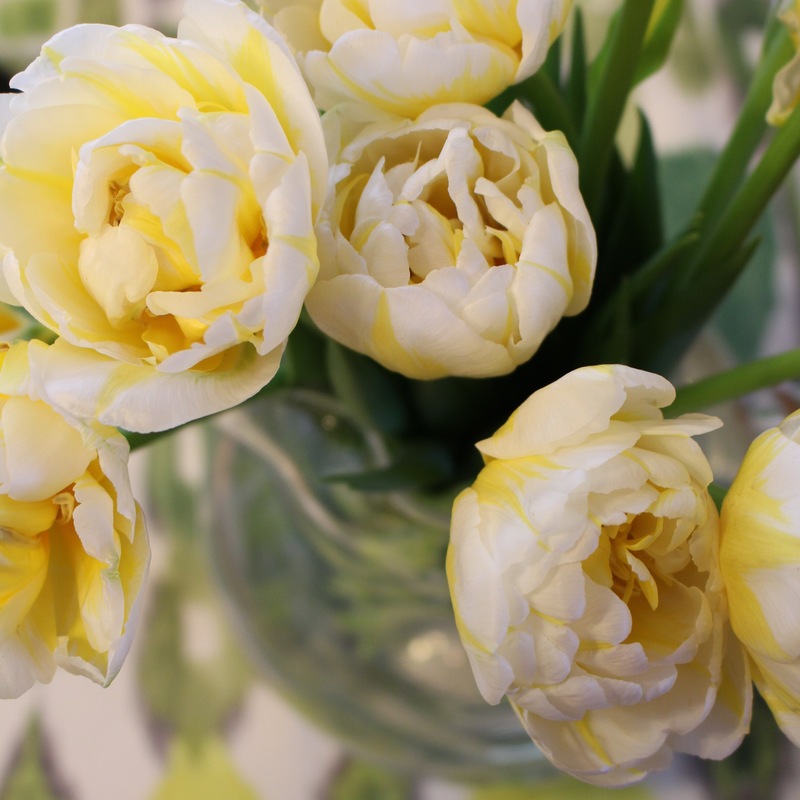 Spring (and new beginnings) is just around the corner, friends! It’s a few days into March, but I’m showing myself grace and acknowledging that done is better than perfect when it comes to getting these goals posted. The past few weeks have been filled to the brim between work, travelling to Connecticut to work with a client and visit with family + friends, and spending time with Kate. I feel like I’ve barely had time to catch my breath this week before heading to Georgia this weekend to give a presentation as a volunteer with my sorority! Even in these busy times, I’ve just felt so grateful to be able to choose my schedule and to be able to say “yes” when fun and exciting opportunities arise. Yes! We booked campsites at many of the National Parks we’ll be visiting (more on this soon, I promise!). Some have still not opened reservations, but we have reminders scheduled in our calendar for when they do! Yes! We’ve contacted friends and family for the first half of our trip. We are still trying to finalize the schedule for the second half, so once we do, we’ll contact those folks! Both Kate and I have been researching options for spots to stay and have kept a running list of some of our favorites. We’re hoping to start booking them this month! I actually met with three lovely ladies this past month (Ellie of Hello Tenfold, Annie of Greatest Story Creative, and Jessie of Jessie Gladdek Photography). It was so fantastic to catch up and get advice from other small business owners. I’ve also got a few fun projects up my sleeves with some of these gals, so I’ll be sharing more as those develop. P.s. if you’re a small business owner in the Triangle, drop me a line! I’d love to get to know each other over a cup of coffee! No. I started one, but didn’t complete it. I realized that right now, I really want to focus on gaining some more business knowledge, so that’s where I’ll be focusing my energy for the time being. Yes! I have a long list of books on marketing, advertising, and business to dive into. I started Dave Ramsey’s EntreLeadership and am planning to finish that up in the coming month. While it isn’t specifically about finding new clients, I gained some great ideas in that area, which I’m excited to start implementing. Hooray! My goal is to post, on average, twice a week, which I met. I’m excited to carry this forward into March! I’d love to know what you’d like to hear about on here, though, so that I can make these posts as beneficial as possible. We successfully finished Whole30 and the reintroduction of the non-compliant food groups. So proud of that accomplishment! We have a loose plan on how we’d like to eat moving forward, but need to really buckle down to implement this. We had a really fun day playing board games with friends, and purchased a Groupon to a local ziplining place for some sort of swing that they have set up. Nope. I’m still working on this and came back from Connecticut with even more photographs and other items to scan and share with family members. I really want to get through all of this before we leave for our road trip! Overall, I’m really proud of what got done this past month! I also checked off nearly all of the weekly goals that I set up, which made me feel much more focused and purposeful. Now that the weather’s getting warmer, I want to prioritize getting out into nature and soaking up some sunshine. 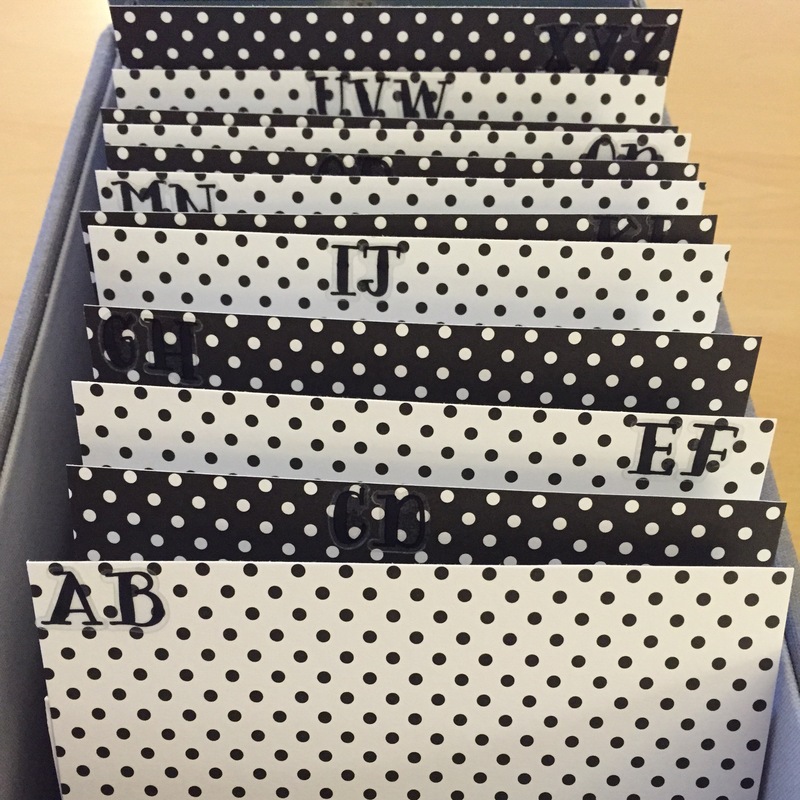 We’ve tried scheduling weekly meetings to go over our budget in the past to mixed success, but this past month we had a few, and they have been so helpful! I’ve scheduled them in our calendar, added things I wanted to discuss to the notes, and then we made sure we made them happen. I’ve been making excuses for not doing this, which is a sign to me that it needs to be a priority. Any tips you have on this would be much appreciated! In addition to volunteering with my sorority this coming weekend, I’m looking forward to continue being involved with service through our church and Junior League. In addition to the ziplining Groupon, I also got one for doing a brewery tour with Kate, and another for getting my car cleaned, so I want to be sure these things happen before they expire! I’m so excited to keep making reservations and plans to see friends and family while we’re on our trip. Meeting new people has been the best way to connect with potential clients, so I want to continue putting myself out there. I’ve been sponsoring events for local non-profits, but I want to make charitable giving an even bigger part of my business. If you have done this and have any tips, I’m all ears! This has been a big dream of mine for several years now, and I am so excited to finally attend. I really want to make the most of my time there and get the most out of it I possibly can! What about you? I can’t wait to hear how your past month went and what you have on tap for the coming weeks! This week we’re back with our second installment of Tuesday Ten, this time with Portland-based Tara Bussema. I came across Tara via Pinterest and fell in love with her talent and eye immediately (just visit her website if you need further proof!). I immediately knew I wanted to include her in this series. Through emailing back and forth, I found out that she grew up just minutes away from where my brother-in-law and his family live. Talk about a small world! Without further adieu, I’m so excited for you to meet Tara! Tara: My name is Tara Bussema and I founded Neat Organization and Design about two and a half years ago. I grew up in Long Beach, California but have resided in Portland, Oregon for the last year with my husband, Kevin. My favorite thing about organizing is the people. It is an honor to be in someone’s space working with them and their belongings. It is an intensely personal process. I love getting to know people, hearing their stories, and giving them a fresh start. I truly believe that the state of our space reflects the state of our heart and vice versa. Organizing is not just physical work. It is also emotional and even spiritual. I love taking this journey with people and ultimately, helping them lighten their load and start fresh. Hmmm… good question. I would say the business end of things is the most challenging for me. Being a relational person, I am not great at marketing or self-promotion. 90% of my business has come by word of mouth, and I almost prefer it that way. As far as the actual process of organizing, the only part that can be a little challenging is entering a space for the first time and having to figure out where to begin. After that, the rest just flows. I would say to start by offering help to family and friends, especially those who are willing to spread the word. One of my best friends owns a mommy-n-me workout franchise. 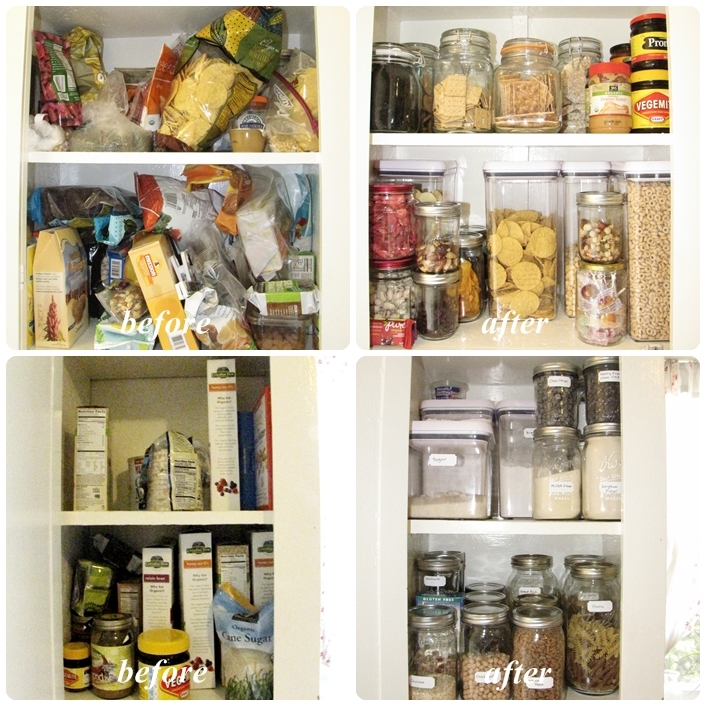 I organized and redesigned much of her house and she was absolutely crucial to the initial growth of my business. Also, take lots of before and after pictures and start using social media! These Handled Baskets from The Container Store – $3.99 to $4.99 – They are perfect for everything from organizing snacks in the pantry to making it easy to retrieve items stored up high. The handles make them easy to grab and return to their place. Small to Large Lid Organizers like these from The Container Store – $3.99 to $4.99 – These are excellent for everything from pot lids, baking sheets and cutting boards to sorting and storing reusable bags, tupperware lids, purses, craft paper, etc! Turntables! 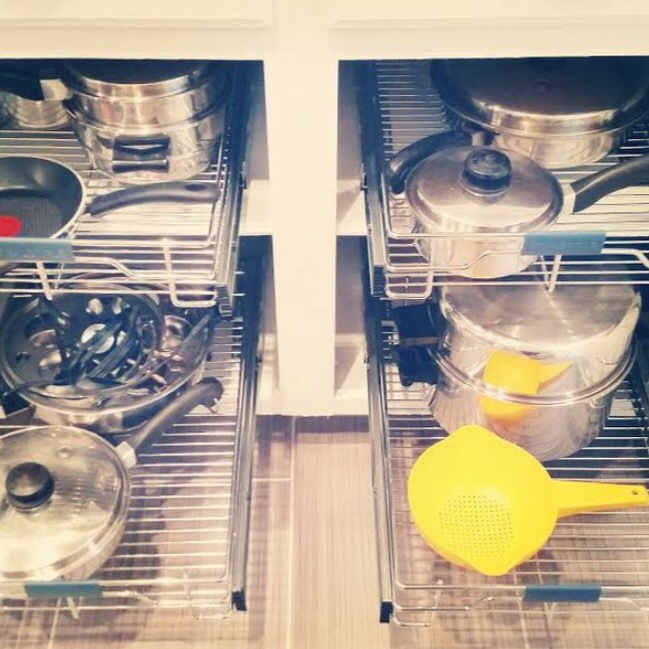 Like this one from The Container Store – $5.99 – These are especially helpful in deep cabinets, high places and small spaces, where it is hard to reach in and find what you need. They are great for spices, jars and cans, water bottles, perfume, nail polish, vitamins, etc! You can use them in the refrigerator, pantry, and even under your bathroom sink! I would say one of my favorite spaces I’ve done was also the most unique. 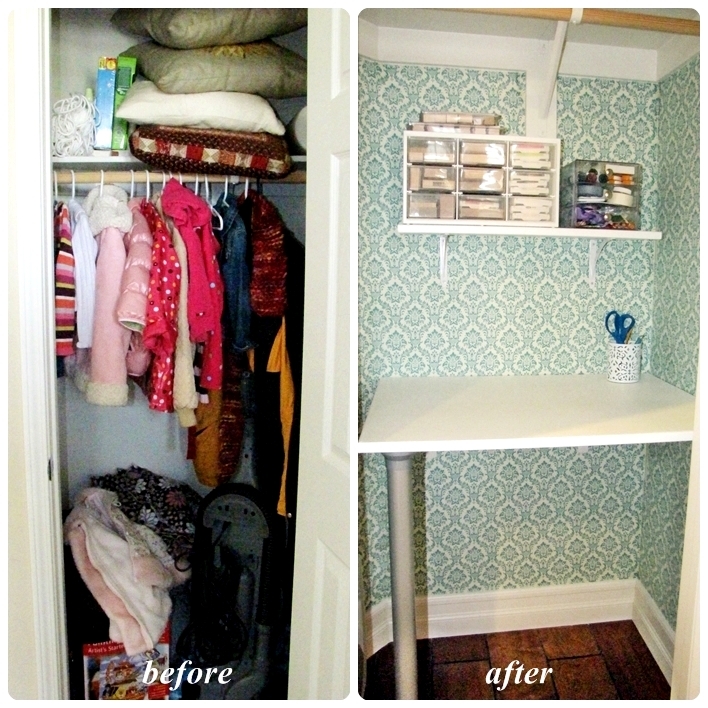 I converted an overly packed coat closet into a crafting nook with a desk. 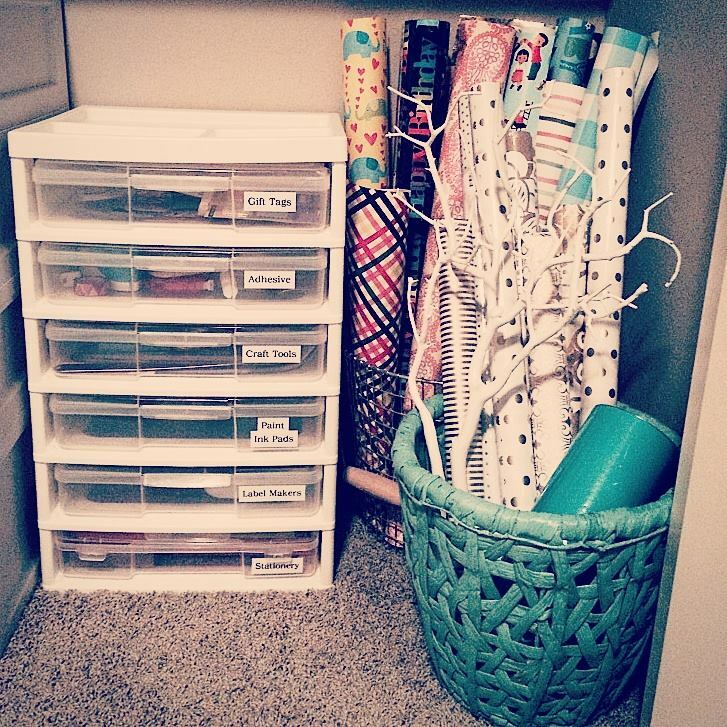 Once other closets in the house were organized, we were able to clear out this particular closet and give a young mom her own space to keep crafting supplies and spend some much needed creativity time. Portland is a great city. It’s the best of all worlds. Culture, nature, and great food and drink! We’ve lived here only slightly longer than a year, so we spend tons of time exploring. You can go to the amazing farmer’s market downtown, hike to a waterfall nearby, visit distilleries and breweries, pick from an unending number of amazing restaurants, and then finish off the day with some amazing Salt n Straw ice cream! And… it is just beyond beautiful here. We live up the street from Mt. Tabor, which is a forested, extinct volcano. I go for walks there frequently and I forget I’m in the city! All photos provided by Tara Bussema. Thanks so much for sharing, Tara! 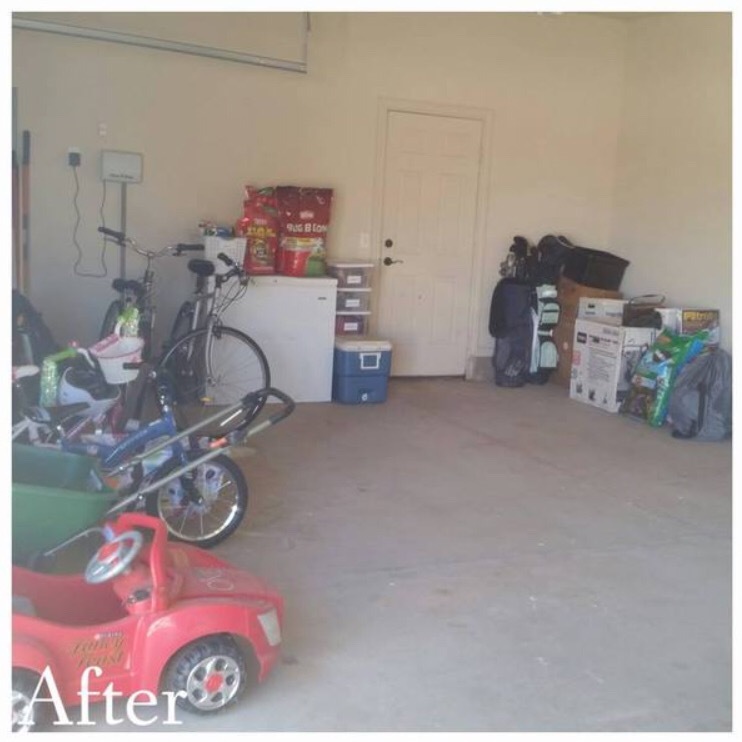 I particularly love her tip about starting to organize in the garage or basement. 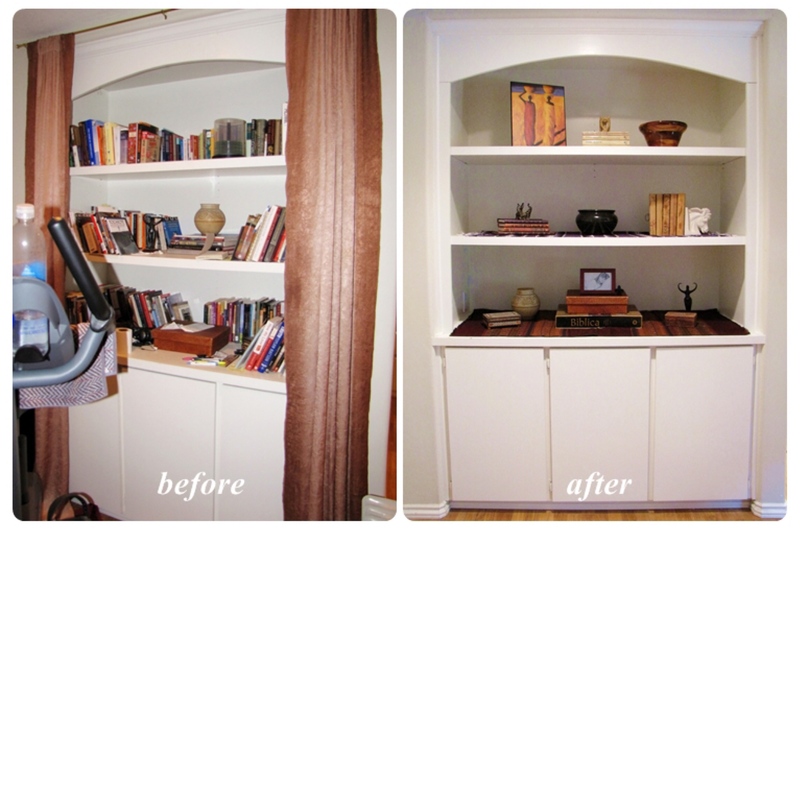 This will also give folks more space to spread out when organizing other areas! I also strongly agree that organizing is more than physical; as a person of faith, I definitely think that it can be a highly spiritual process. What do y’all think? Aren’t Tara’s spaces just fantastic?! Tuesday Ten is a series here on the Honey Hive Home blog. Each time, we’ll meet a professional organizer who will share interesting information + helpful tips, all via their responses to 10 questions. Hi friends! How is your week going? Mine has been full of wonderful, pinch me moments where I’m just so incredibly grateful to be doing something that I love and believe in so passionately. Organizing truly changes people’s lives! I’ll be heading north bright and early tomorrow morning to visit family + friends and work with a client in Connecticut. Before I leave, I wanted to share something exciting with y’all: our very first giveaway! 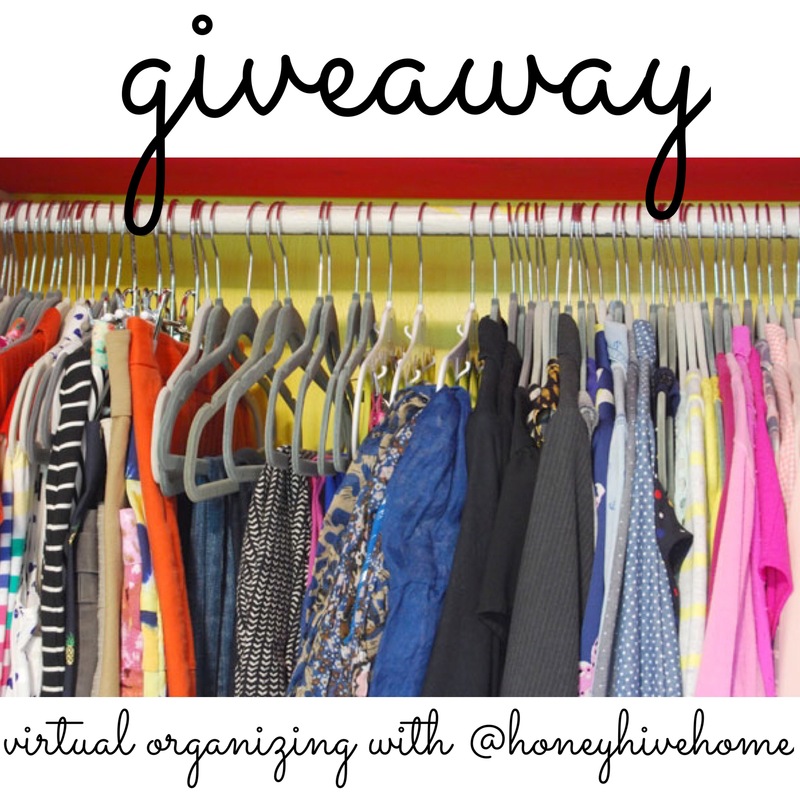 For a bonus entry: repost the image on your feed + tag @honeyhivehome (your account must be public so we can see this)! That’s it! The giveaway will close two weeks from today. A winner will be chosen at random and will be notified by Instagram. If we don’t hear back from the winner within 48 hours, another one will be selected. This giveaway is open to U.S. residents only. This prize is good for one 60-minute virtual organizing session. It cannot be transferred to another recipient or exchanged for another service. There is no redeemable cash value for this prize. In the meantime, I’d love to know: what space would you like help organizing?